Most art has a technical aspect, from the innovation of mass produced pigments to the mechanics of photography... the history of most artistic genres is an index of crafted technology. 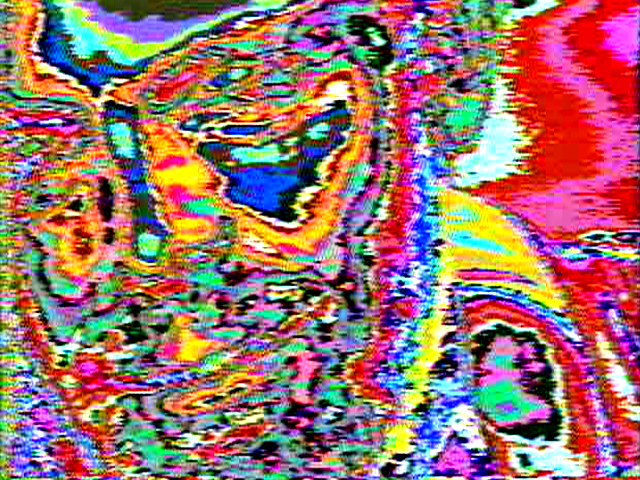 Video art is obviously very influenced in similar ways by technology and Frameless Continuum: Image Processing in Early American Video Art is an exploration the way the craft of image processing technology helped develop the video art genre in the 1970'sand 80's. The look is all the retro rage again and colorizing, keying, switching, and fading have come back in digital apps so here is your chance to learn the history and marvel at the massive processing power your smartphone now has. Of course that ubiquity and ease can lead to overuse. What's more why doesn't the discussion of craft extend to processing electronics and computer code? Christopher Knight pens the much anticipated rebuttal to all the Whitney love. Well, the cries of parochialism are a given though Knight celebrates the exclusion of Greenbergian Color Field painters like Morris Louis and Helen Frankenthaler... but really is it just substituting one parochialism for another? That's ok, one can come to Portland to see Frankenthaler, Anne Truitt and other Greenberg artists here at the Portland Art Museum, where the critic's personal collection now resides. What's more, the Whitney did just restage a great Robert Irwin last year so I'm not certain they are as guilty as Knight's still legitimate argument seems to present. Perhaps a museum's identity comes chiefly from a permanent collection, so the Whitney will still be able to play against of their expected New York focus as they years roll by. Still, for the first show they had to play the NYC card since they are in competition with MoMA as the NYC art museum. Frankly, I look forward to the LACMA expansion's LA style rebuttal. That is one of the nice things about being here in Portland, we make no claims to being an art capital but sitting out the cola wars style museum wars gives us a kind of Switzerland position (which is its own kind of parochialism). The more I think about it... parochialism that is self aware isn't necessarily the slur it is intended to be as long as the program learns to curate against form enough to keep it feeling vital. 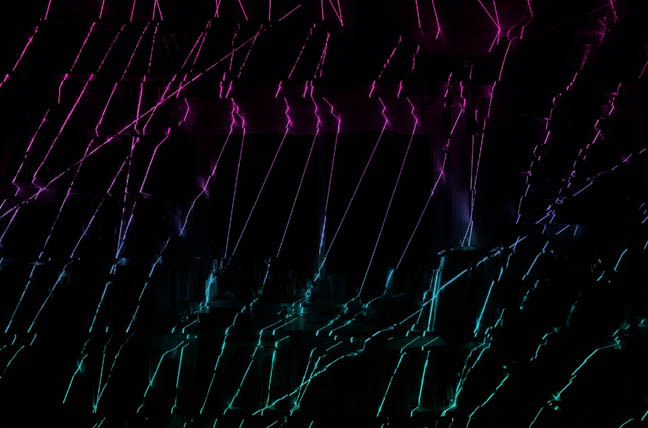 It had to happen, it was inevitable... one of Portland's favorite artists, Damien Gilley, has harnessed the power of lasers and for one night will turn Carl & Sloan Contemporary into laserland. It will also be a book release for his monograph Vibrations. I've followed and worked with Damien over the years being the first to review him while he was still in grad school (I normally wait till they graduate). He's grown a lot from a local favorite to an artist with an international career. Basically, this is chief art event this weekend in one smallish gallery and it continues to reiterate that science/design/scifi art (I call them space invaders)is a major trend in work here that hasn't been adequately addressed by any institution in Oregon yet. They all explore the tension and promise of technology/design in a city obsessed with the quality of life. Jerry Saltz on the New Whitney is today's must read, though it is kind of a rehash that uses the new building and program as a testcase. I agree, many museums have lost their way and the art (along with the serious curators that serve it) have been getting the short end of the stick for about 15 years now. The Whitney here seems to be finding a clarity of purpose through this building rather than the muddle that most recent building campaigns have produced. Going pure timeline and ism-dogma is a kind of intellectual death and the Whitney is right to avoid it. Question is if programmatically/curatorially it can utilize this new breathing space? (My forthcoming Guenther piece goes in depth into how curatorial programs have changed... yes it is still coming, likely closer to PORT's 10th anniversary on June 1 since it is kind of a retrospective on PORT as well). Basically, we live in an age that requires more incisive critical thinking precisely when it is in somewhat shorter supply than any time I can remember. Still, I like the way Saltz has focused on Weinberg here. He's a major reason this museum expansion seems less craven... somehow the Whitney now seems to be curious about itself and what it and NYC has been missing lately. Surprising discoveries as the Glasgow's incinerated Macintosh masterpiece begins to emerge from the ashes. 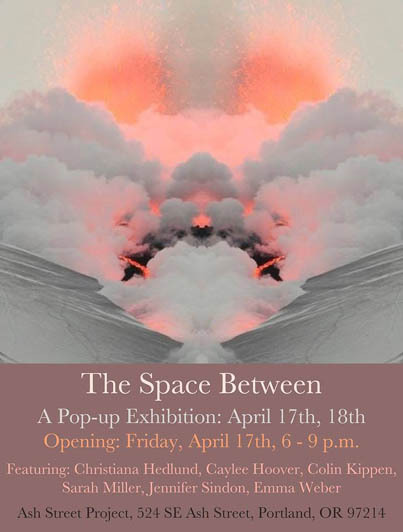 I generally don't plug shows by artists that are still in school unless it is a thesis show but this 2 day pop up exhibition titled The Space Between looks promising. It explores one of my favorite themes of symmetry/asymmetry and teaser images look like it is installed in intriguing ways. It is related to an old zen principle of breaking symmetry in order to to bring life to the space (the Japanese Garden is full of it and the implications in mathematics are vast). Curated by two OCAC MFA's Sarah Eaton and Shiloh Gastello it features; Christiana Hedlund, Caylee Hoover, Colin Kippen, Sarah Miller, Jennifer Sindon and Emma Weber. 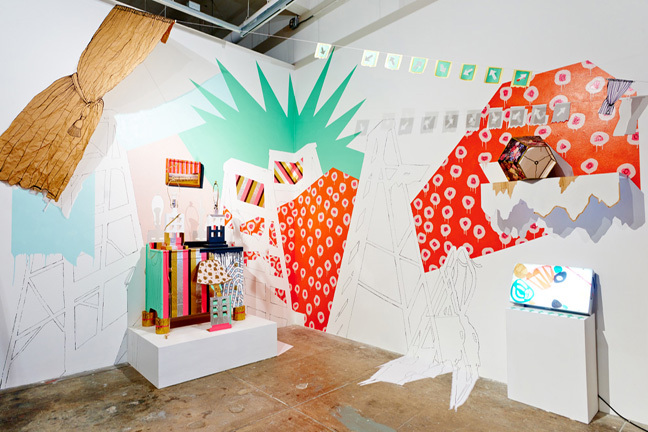 Julie Alpert is a Seattle based painter and installation artist and along with hercurrent exhibition Splat! at the Archer gallery, she is the artist in residence at Clark College. I like how the Archer has become an embassy in the Portland area for Seattle artists over the years. It would be good for everyone if there was a similarly reciprocal venue outside but still near Seattle. Then there is the difficulty of showing artists from Vancouver Canada in the States despite being so close by. Ah borders, the arts are naturally inclined to cross them, governments... not so much. Seattle and Portland's art scenes can actually learn a great deal from each other, both from their differences and similarities. Show up and compare notes at Splat! 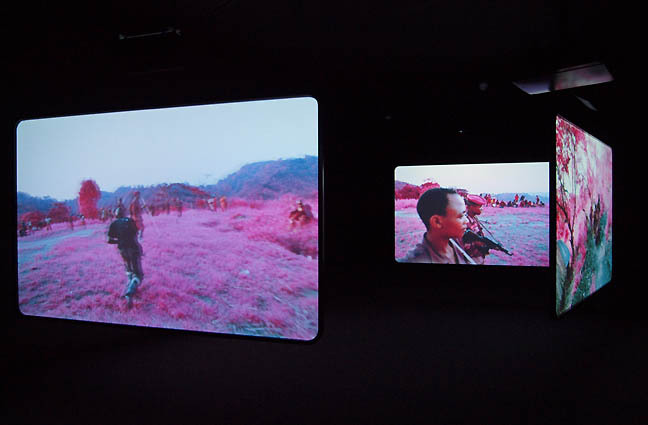 Richard Mosse's The Enclave at the Portland art Museum explores the uinimaginable experiences of disruption, diaspora and genocide in the constantly conflicted region of Eastern Congo. We sat down with him for an exit interview. Earlier we published a review, which captures many of the reasons it is among the most memorable exhibitions PAM has presented in the 16 years Ive lived here. Jeff Jahn: Let's start with your background? Richard Mosse: Both of my parents are artists who do country pottery. I guess craftspeople. 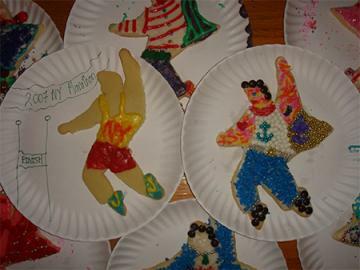 So they were very concerned that I would also be a starving artist. I was forbidden. 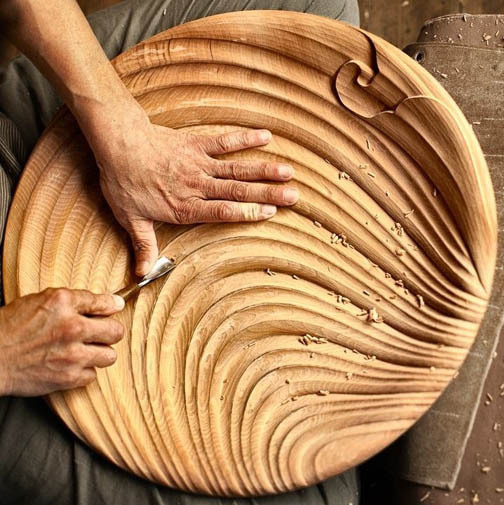 Hakkodo, The Artisans of Kamakura, is the finale in a trio of of exhibitions tracing traditions in Japanese lacquer and brings 4 generations of artists (all from one town) who have for 29 generations handed down the tradition from father to son. Now a woman, Keiko Goto, is building a new tradition along with her sister Naoko, building upon the past but moving in a new direction. PORT reviewed the exquisite second in the series by Kazumi Murose, and the first Rediscovering Lacquer was our top pick of 2014's craft/design exhibitions. Definitely check it out, besides the Japanese Garden itself is sublime and a top shelf experience. There is a great deal going on midweek in Portland visual arts wise but Amy Whitaker's lecture looks promising. Whitaker is the author of Museum Legs a collection of essays on the life of museums and public art and explores the intersection of art, business, and everyday life. . She is also the president of the Professional Organization for Women in the Arts (POWarts) and a mentor for fellows of the TED Conferences as well as full-time faculty at the Sothebys Institute of Art in New York. Amy holds an MBA from Yale and an MFA in oil painting from the Slade School of Fine Art in London. Her undergraduate degree is in political science and studio art from Williams College. 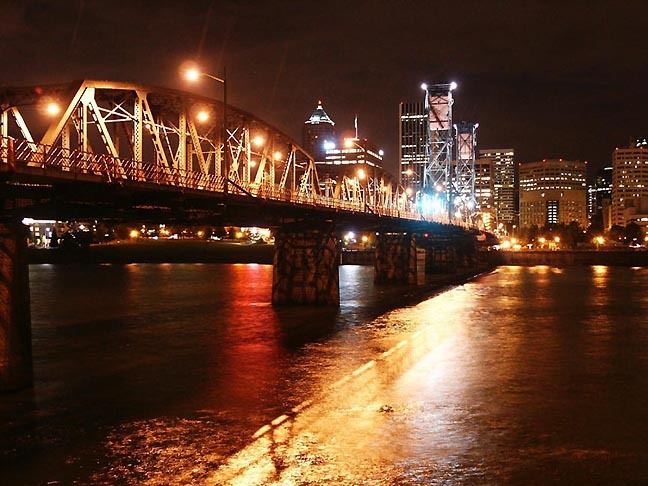 Brian Libby asks, can Portland contain its rising housing costs and "Grow the right way?" Generally the art scene is right on the front lines of this question as galleries and artist's apartments and studios are the canaries in the coal mine. For Portland it will basically take more property owners like David Gold, Al Solheim and Brian Wannemaker who understand that vitality in the arts can pay off in the long term in ways that aren't in the typical property asset management playbook. Rogue sculpture seems far more edgy than Banksy with this unauthorized Edward Snowden Bust in NYC. Edward Winkleman on the new art world buzz around transparency in markets. There's nothing fresher than new BFA's (hopefully that's true). 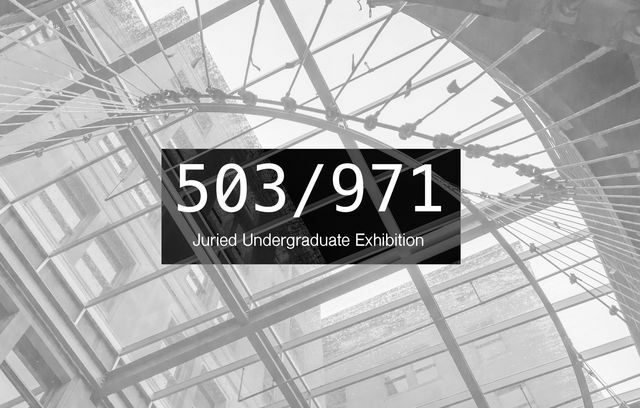 Enter PNCA's 503/971 exhibition, organized by two students, Joseph McGehee and Joseph Greer the exhibition will survey current art students from PNCA, PSU, Reed, OCAC, and Lewis & Clark. Curated by Kristan Kennedy (Portland Institute for Contemporary Art), Robert Snowden (Yale Union), Libby Werbel (Portland Museum of Modern Art) this will be the first real shakedown of the new commons space so Im extra curious how it plays out as a gallery space.